Do you know your drink? Are you aware how many units of alcohol are recommended for adults each week? One You Hounslow is supporting Alcohol Change’s Alcohol Awareness Week from Monday 19th November to Sunday 25th November. This year’s theme is ‘Change’ and in the words of charity Alcohol Change: “Change is necessary. Change is possible. Change is happening”. 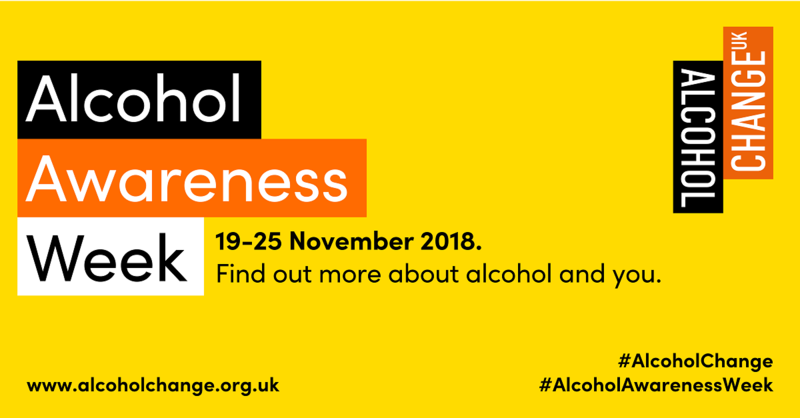 Alcohol Change launched on Monday 19th November 2018 and is a leading UK Charity that has been formed out of a merger between Alcohol Concern and Alcohol Research UK (Source: Alcohol Change). An estimated 595,000 adults in England are alcohol-dependent and in need of specialist treatment. However, the number receiving treatment is closer to just 100,000. In the UK it is recommended that adults do not regularly drink more than 14 units of alcohol a week (Source: Drink Aware). If you are not sure how much you drink each week you can use the Alcohol Change Unit Calculator. If you do regularly drink more than 14 units a week (fourteen units is equivalent to six pints of average-strength beer or 10 small glasses of low-strength wine) then the NHS website has some great tips on cutting down. The NHS website can also inform you about the risks to drinking too much alcohol, but you can always get support to help you cut down how much you are drinking. If you would like to assess how much you are drinking you can use the One You Hounslow Drink Checker which will go through a series of questions about your drinking habits and signpost you to support available if needed. Otherwise you can try the Drink Free Days website which will assess how much you are drinking each week and tell you how many units you could cut out and how much money you could save just by making small changes to your drinking habits. You can also find a link to the Drink Free Days app on our ‘Drink Less’ page. If you feel you are drinking too much and you would like to talk to someone about support to cut down your alcohol consumption you can call the One You Hounslow health advisors on 020 8973 3530, e-mail us at oneyou.hounslow@nhs.net or you can register online. Alternatively, you can talk to someone from an alcohol support line or you can contact ARC Hounslow which is a charity providing support and recovery for those suffering from alcohol addiction in Hounslow.